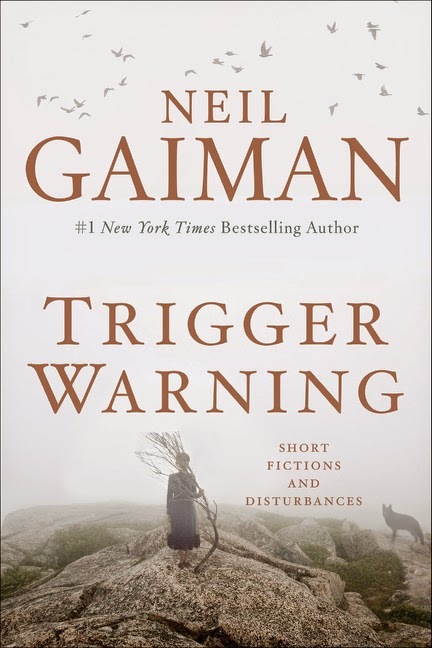 Trigger Warning is Neil Gaiman's newest collection of short stories addressing topics that question the boundaries of human capacity of disturbance and horror. True to Gaiman's usual style of writing, the stories contained in this collection are macabre in nature, at times bordering on terrifying, but never breaching the barrier into outright gory. They focus more on the building of suspense rather than the jumpscare value, in a truly H.P. Lovecraft style of story building. What made this book stand out from Gaiman's other writings, and what made it interesting to me, was his explanation of his choice of title. In the introduction, Gaiman sets out to give a brief explanation of what the phrase "trigger warning" implies, how the landscape of storycrafting is evolving alongside social media, and how the personalisation of social media through user-tagging is changing the landscape of blogging and entertainment. A "trigger warning," as it has come to exist on blogging platforms like tumblr, is a warning either at the beginning of a post or in the user tags of a post that give the viewer advanced warning that the content of what they are about to read or view contains material that could be upsetting in nature--that the content has the potential to "trigger" the person viewing it. This system of trigger warnings is helpful in preventing bloggers who might be triggered into experiencing flashbacks, panic attacks, anxiety attacks, etc. It's a system that allows the viewer to choose whether they will continue on to view the material, with the foreknowledge that what they are about to view is potentially upsetting. "I wondered, reading about the college discussions, whether one day people would put a trigger warning on my fiction. I wondered whether or not they would be justified in doing it. And then I decided I would do it first. There are things in this book, as in life, that might upset you. there is death and pain in here, tears and discomfort, violence of all kinds, cruelty, even abuse. There is kindness too, I hope sometimes. Even a handful of happy endings...And there's more than that. I know a lady called Rocky who is triggered by tentacles, and who genuinely needs warnings for things that have tentacles, especially tentacles with suckers, and who, confronted with an unexpected slice of squid or octopus, will dive, shaking behind the nearest sofa. There is an enormous tentacle somewhere in these pages. Many of these stories end badly for at least one of the people in them. Consider yourself warned. "(Trigger Warning introduction, xiii). I absolutely loved this collection of Neil Gaiman stories. I definitely look forward to reading it again.